Demo inventory is currently sold out. Check back for more demo equipment coming soon! 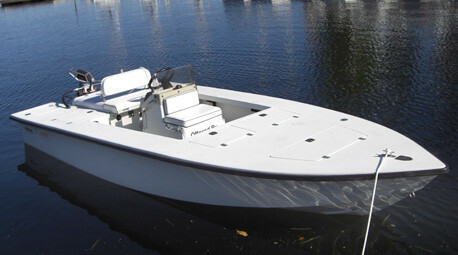 NEW KONA 15 PowerSkiff and Trailer at DEMO BOAT PRICING! 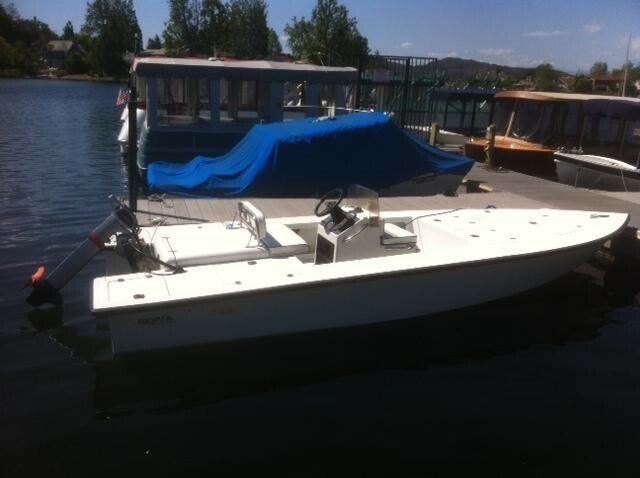 Motor has never been used; batteries and charger lightly used and well-maintained. 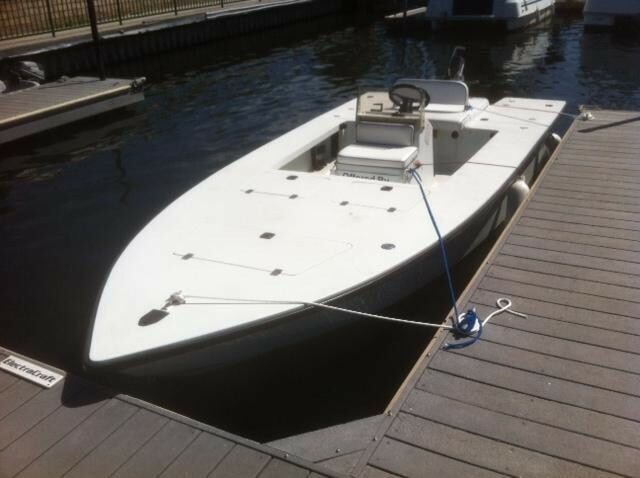 - Boat and trailer only, ready for the gas outboard of your choice, for $8,495. 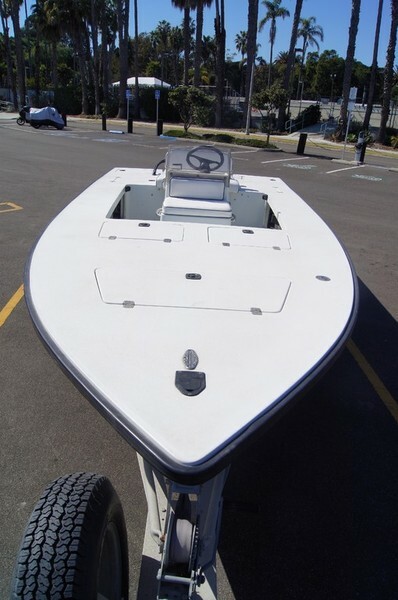 Click here for details of the KONA 15 PowerSkiff and contact Scott at Ruckmarine 510-816-0101 for more information. 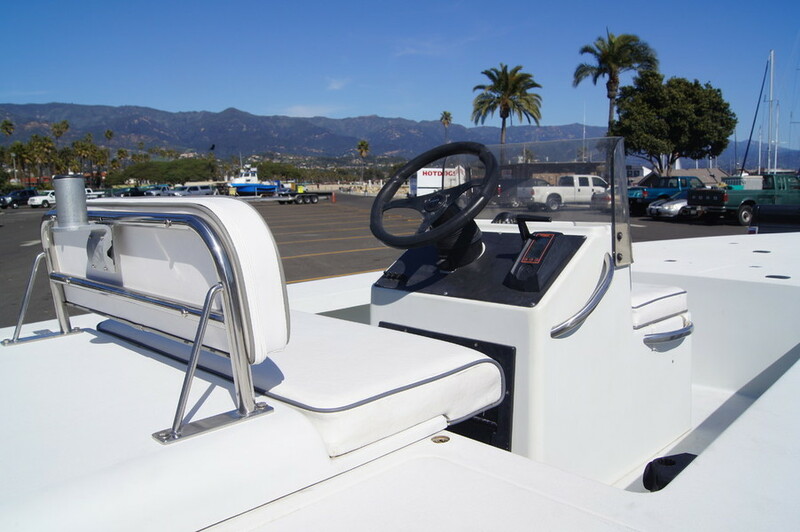 The boat is currently configured with two (2) pedestal-mounted, cushioned folding seats and two (2) cooler seats with custom closed-cell foam cushions. 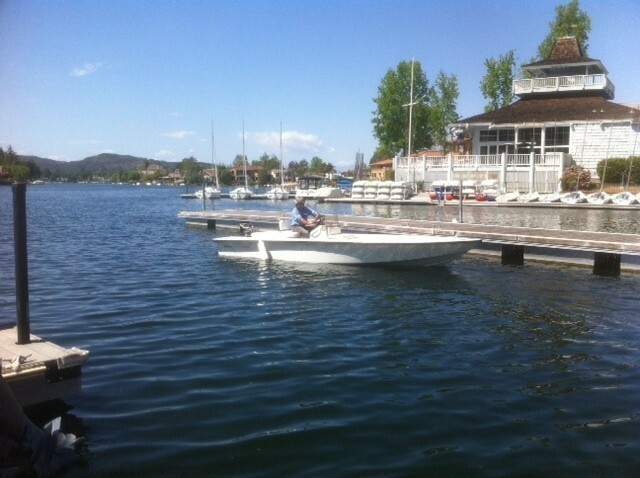 The seats are not permanently mounted, so they can be removed, reconfigured, or replaced. 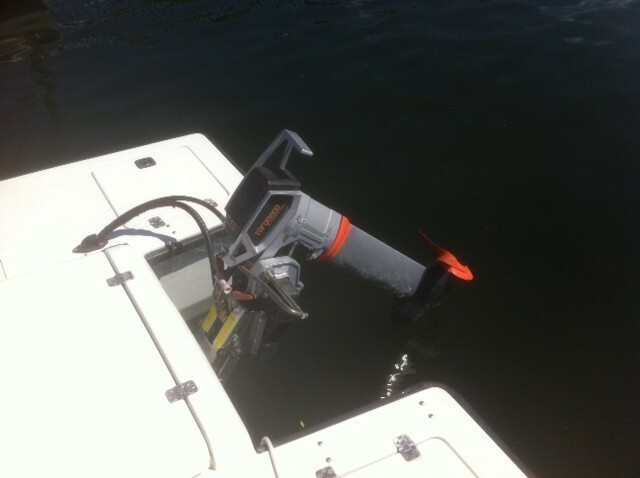 The electric propusliong system, including motor, batteries, charger, charging receptacle, and cabling, can all be removed for use with a gas outboard (up to 40 HP). 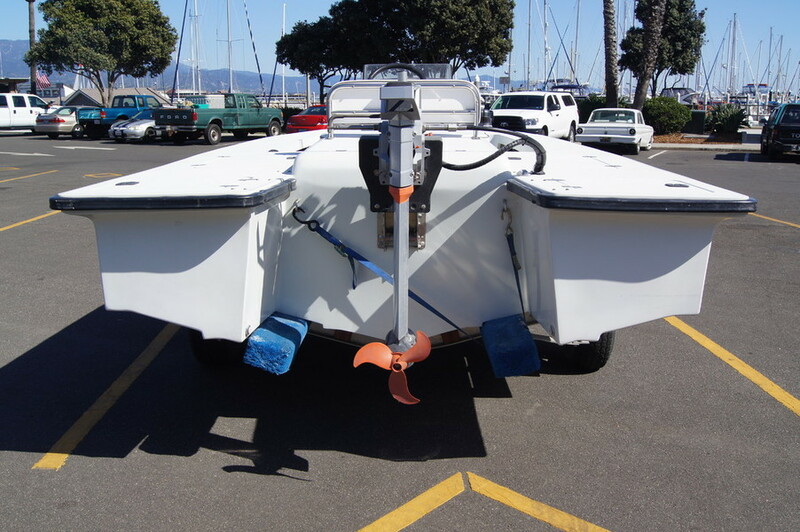 The boat comes on a new painted trailer, never launched. Many options and accessories are available.